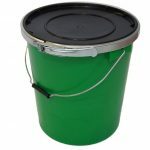 Our 25-litre container comes with side grip handles as well as strong metal grip handle. 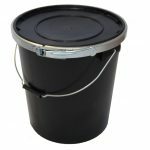 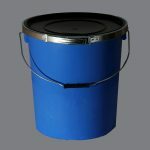 The UN container come fitted with lids, rubber seals and metal bands, making the container totally leak proof, as is required under the UN recommendation. 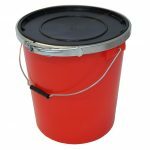 This ensures the lid is secured into position for transportation and therefor guarantees that the products arrive at their destination in one piece.